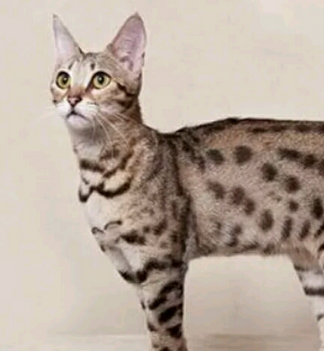 We are Breeding Savannah Cats in Canada with 25% PLUS serval blood. 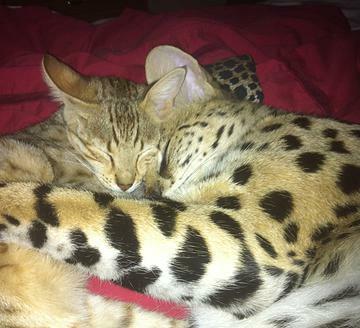 For an exotic �Couch Cheetah� email us for information about our incredible Savannah Cats. Will Ship internationally but We will NOT ship to areas where Savannahs are not legal. Check out our unbelievable kitten guarantee. We guarantee our kittens for LIFE! We give cash refunds if you are not 100% thrilled with your WildStreak kitten-- for ANY reason--allergies, older pet not happy, etc. We are located in the Vancouver B.C. area and specialize in high generation savannahs F1 and F2 but we also have lower generation kittens available occasionally. We have been breeding outstanding feline companions since 1982. Check out our website for upcoming public appearances and upcoming litters. Please email us, rather then phone . CafeKitty is a small, TICA registered cattery in British Columbia Canada. 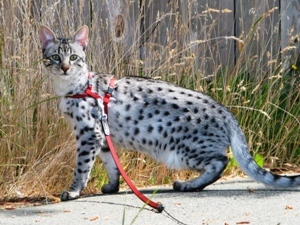 Our goals focus on keeping the exotic African beauty of the Serval combined with extraordinary temperament and guaranteed health. 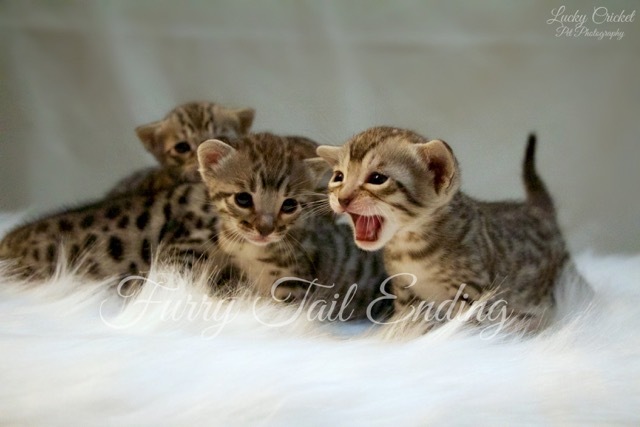 From our home to yours, bring a CafeKitty Savannah kitten home today. F2 Kittens available. selective breeding, lean meat diet, early training, constant socialization and LOVE. 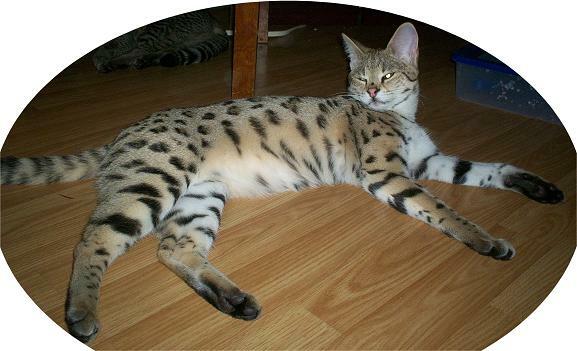 We are a small in-home Savannah Breeding program located in Kelowna, BC, Canada. 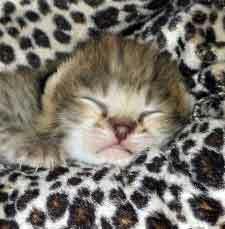 We strive for quality over quantity, producing healthy, happy, socialized kittens. We lovingly raise our kittens in a free range home (no cages) to ensure good health proper socialization our cats have the run of the house as well as an outdoor play ground. When ever possible we encourage prospective new families to come view our kittens in there own environment, we welcome visitors. Shipping is always easy we make all the arrangements and can provide references upon request. Our kittens come health guaranteed with life time breeder support all are micro chipped as well as vaccinated and vet checked two times before heading off to there new families.